With its beautiful, summery color, peridot fits well in the role of the birthstone for the month of August. It has been used in jewelry as far back as ancient Egypt and Greece, and was called the "evening emerald" by the ancient Romans. Peridot is thought to bring power, wealth, and success to the wearer. It is considered calming, and is believed to contribute to a sense of peace and tranquility. From a healing perspective, peridot is considered to be helpful in aiding digestive problems such as ulcers and irritable bowel syndrome. Some believe it can also ease the pain of childbirth. Due to its light color, it is purported to be useful in cleansing the mind of negative emotions like anger, and in healing overall body ailments. 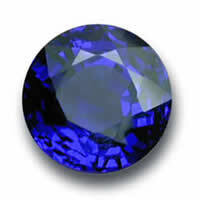 Some ancient civilizations thought the gem possessed magical powers. Many well-known gems form in the Earth's crust, but peridot forms in the mantle due to the high melting point of olivine. Peridot olivine crystallizes from mafic magma - magma containing high amounts of iron and magnesium. Grains of olivine may form in this magma before it solidifies, resulting in ultramafic igneous rocks. This process can take millions of years and requires a great deal of pressure and high temperatures. 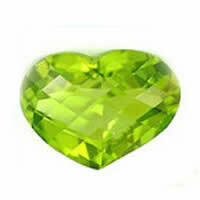 Peridot is one of the few gems that comes in only one color: green. The stone itself is a gem form of iron magnesium silicate, or olivine. The amount of iron or magnesium present in the gem determines how bright or dark the green color will be. 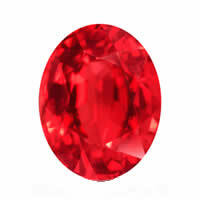 Low percentages of iron make for the most attractive, desirable gem colors; high percentages result in a deeper hue. Peridot olivine is found in many areas of the world. The most desirable stones are said to come from Pakistan and Afghanistan, but it can also be found in Australia, Brazil, Burma, China, Kenya, Mexico, Norway, Saudi Arabia, South Africa, Sri Lanka, and Tanzania; and in the US states of Arizona, Hawaii, New Mexico, and North Carolina. Much of the commercial mining of peridot takes place in Arizona and New Mexico, though peridot fields in Pakistan are reported to have yielded gems as large as 300 carats.